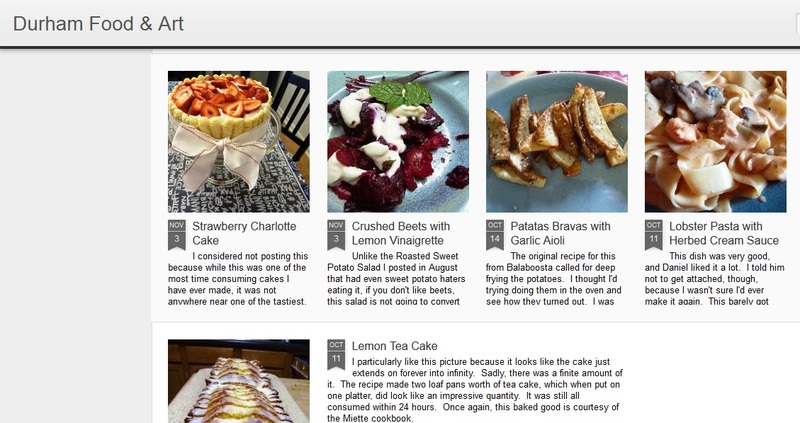 From time to time, I will post about cooking or food, but if you would like to read about this particular topic more often, I write a recipe blog in addition to this one called Durham Food and Art. I will sometimes talk about a local restaurant or a piece of art I’ve made, but mostly it’s just food. Chances are if I haven’t posted recently over here, it’s because I’m working through a batch of posts over there. Or, wonder of wonders, I’m trying to crank out a novel or two.